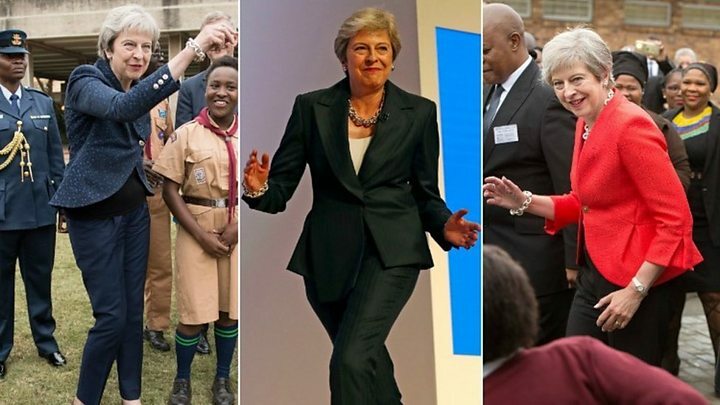 Why was Theresa May dancing? And did it work? What skills do you look for in a prime minister? Is it being a good communicator? Having business acumen? A connection with real people? Or is it how they shake their money maker to disco classics? 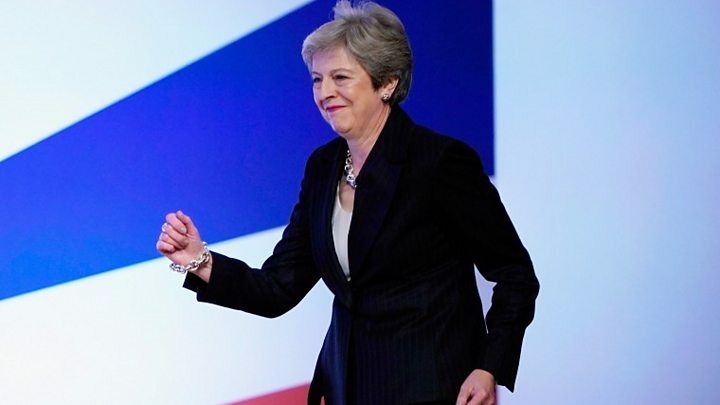 On Wednesday, Theresa May seemed to focus on the latter, making her entrance for her big conference speech by boogieing to Abba's Dancing Queen. It's not the first time the PM has shown off her footwork. 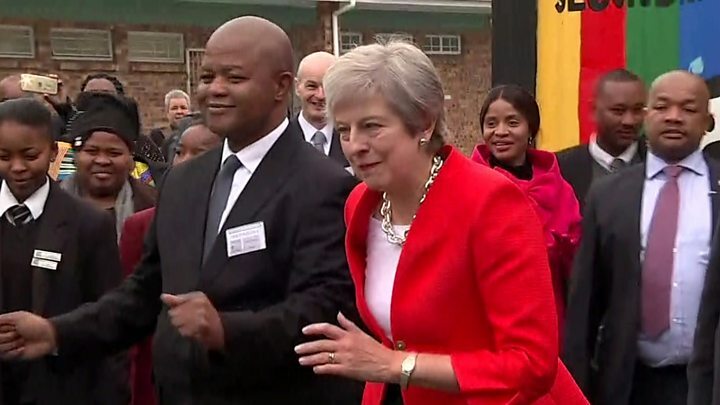 On the first day of a trade mission to Africa in August, she attempted to dance with a group of school children. It's fair to say her moves weren't universally acclaimed - "wooden" and "cringe-worthy" being two widely-used adjectives. Others, though, praised her willingness to get stuck in and have fun. 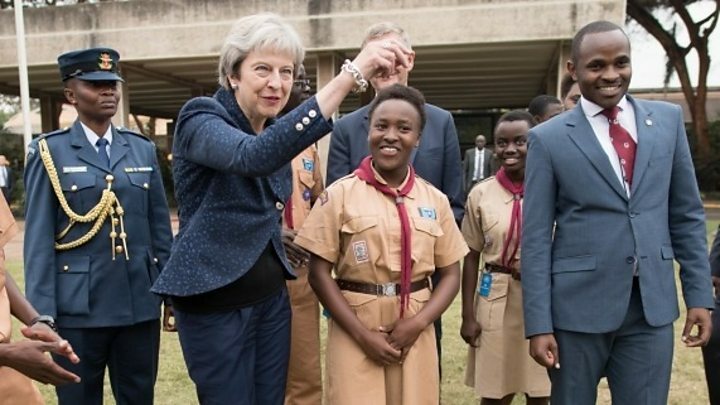 Indeed, it wasn't long until her toes were tapping again, as just two days later, she mimicked the moves of a group of scouts in Nairobi, Kenya. When she returned to the UK, Mrs May embraced the attention her moves had attracted, even offering professionals her advice. But while she tweeted, others reacted in differing ways. Downing Street insisted that her latest groove was "spontaneous". They said they had decided to cue up the Abba track simply because the PM likes it - it was one of her Desert Island Discs after all. But they claimed they had not expected her to start getting down to it. Last year's conference speech was disastrous for Mrs May. She struggled with a terrible cough, was interrupted by a prankster and had to deal with a collapsing set. The consensus is she couldn't ignore all that this time and had to confront it instead. So confront it she did, from the dancing right through to joking about "super-gluing the backdrop". Some political commentators also welcomed her willingness to mock herself and present a friendlier, funnier side. But BBC political correspondent Chris Mason was sold on her performance. "While I become a pound shop Political Bruno Tonioli with some trepidation, and this sort of stuff is guaranteed to make some groan, I thought the PM's jiggy thingy was great," he said. "Using Dancing Queen as her music to arrive on stage to, and then busting some moves, as I think I'm meant to describe it, was novel and self-deprecating. "Will this suddenly mean her most ardent critics will be won over? No. "But does it help humanise the prime minister dubbed 'the Maybot'? Yes."